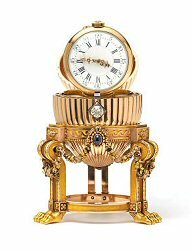 The sale of the Rothschild Fabergé Clock Egg on November 25, 2007 drew world-wide attention and also raised the question whether this object was a clock in the shape of an egg, or an egg with a clock. Well, "it" is a clock, perhaps in the shape of an egg, and since the "it" was not given with Easter, but as an engagement present, strictly speaking The Rotschild Fabergé Clock Egg is not an Egg! 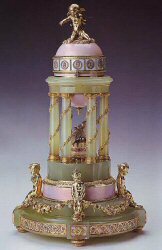 It is a Fabergé Clock, in the shape of an egg. Playing with that thought, I put all the Fabergé Eggs that are equipped with a clock together on a webpage. 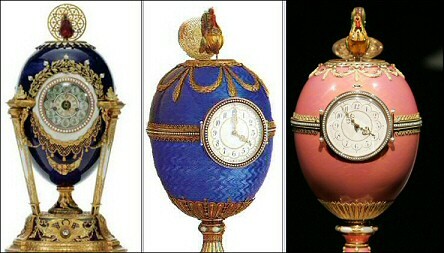 Here they are; first the three clocks with roosters; the 1900 Cockerel Egg, the 1904 Kelch Chanticleer Egg and the 1902 Rothschild Fabergé Clock Egg. These three clocks are very special clocks for only these Fabergé Eggs feature both a clock and an automaton (the mechanism that brings the roosters up). 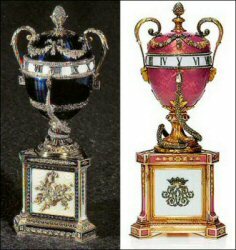 The 1895 Blue Serpent Clock Egg and the 1902 Duchess of Marlborough Egg are clocks. 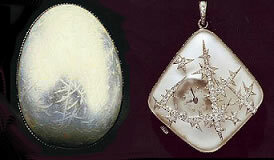 The 1899 Madonna Lily Clock Egg is a Clock and so are the 1910 Colonnade Egg and the1907 Youssoupov Egg. The 1906 Moscow Kremlin Egg has a musical clockwork mechanism and no less than 8 little clocks on both the Spasskaya Towers, but the little clocks do not work and are decoration only. And had the 1917 Blue Constellation Egg been finished, it would have been a clock too! The 1914 Nobel Ice Egg should be here for it has a watch as surprise and a watch is after all a clock too. And there is an Egg, for which the concept of the design for the surprise is derived from a clock, the 1908 Peacock Egg but as this Egg is no clock nor has a visual clock on it, you will have to look for yourself Click! 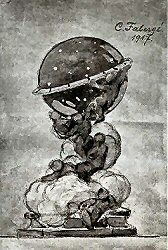 Last but not least, the 1887 Third Imperial Egg. It is easy to see why this Egg is one of the clock Eggs! In Russian the words for clock and watch are the same, "Часы" as in some other languages like my native language Dutch!